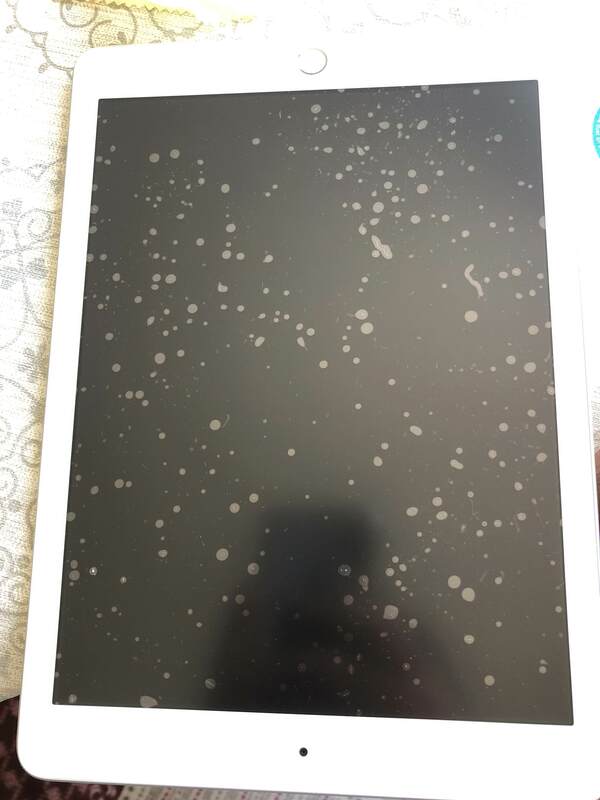 If you're encountering small bubbles that can't be removed with no matter how much you try to push them out, then you can be sure it's not just air, but specs of dust separating the PaperLike from the iPad. Under no circumstances blow air on the iPad to blow away dust from it, as that will cause more dust to fly around! Always use the dust absorber to take away dust from the iPad in the application process. If the applied PaperLike looks like a starry night - or the picture below, please remove it and apply the second PaperLike, as regretfully there is no way to save it at that stage. If you don't have a second PaperLike left, please get in touch with us by writing a message in the contact form below!